Open a Shopify Online Store For Free! Sign up for a free Shopify 14-day trial and start selling today. Start your 14-day free trial Try Shopify for free. No credit card required. 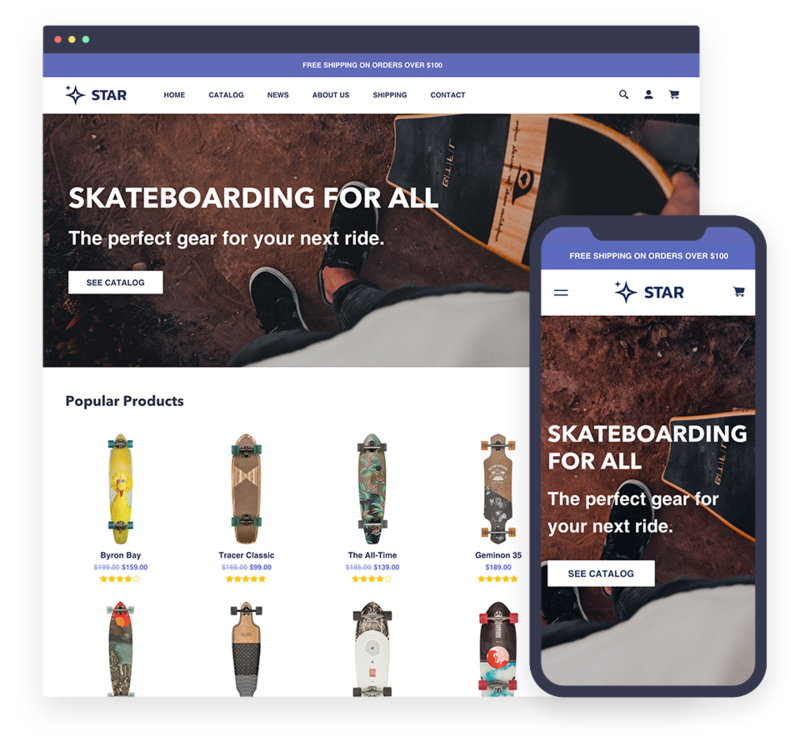 Star is a perfect choice for your first Shopify online store. You can completely customise the appearance of the theme by adjusting colors, typography and setting up theme sections. 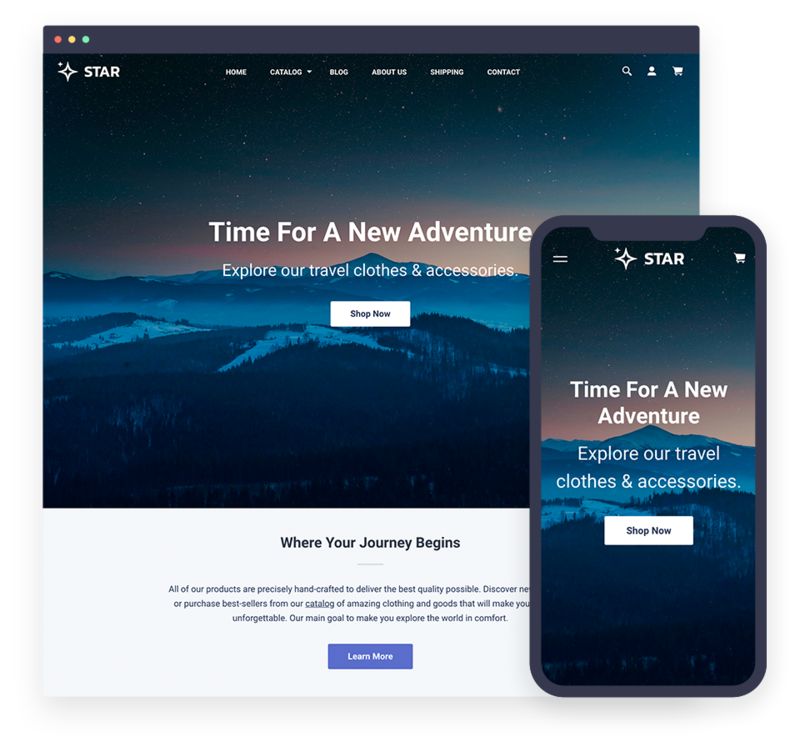 Star will let you launch an amazing online store easily in minutes! Increase your sales with the mobile-friendly layout and user experience. Install and setup the theme in minutes, no technical skills required. Customize your store's appearance easily by adjusting the theme settings. Get more sales by showcasing similar goods on product pages. Use color and image swatches with your Shopify product options. Use various sections to introduce your products in the most effective way. Build a well-structured site navigation with the 3-level dropdown menus. Enable parallax for theme sections to achieve the amazing animated depth effect. Use Google Maps to let your clients know how to easily find your store. Improve your store's structure with product tags and product filters. An elegant multi-purpose Shopify theme. 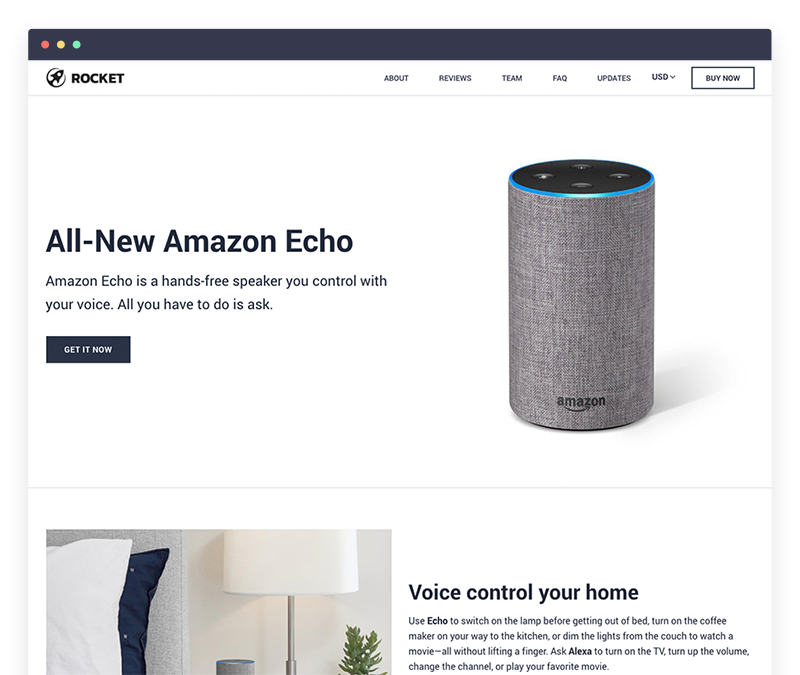 An ideal theme for single-product stores. 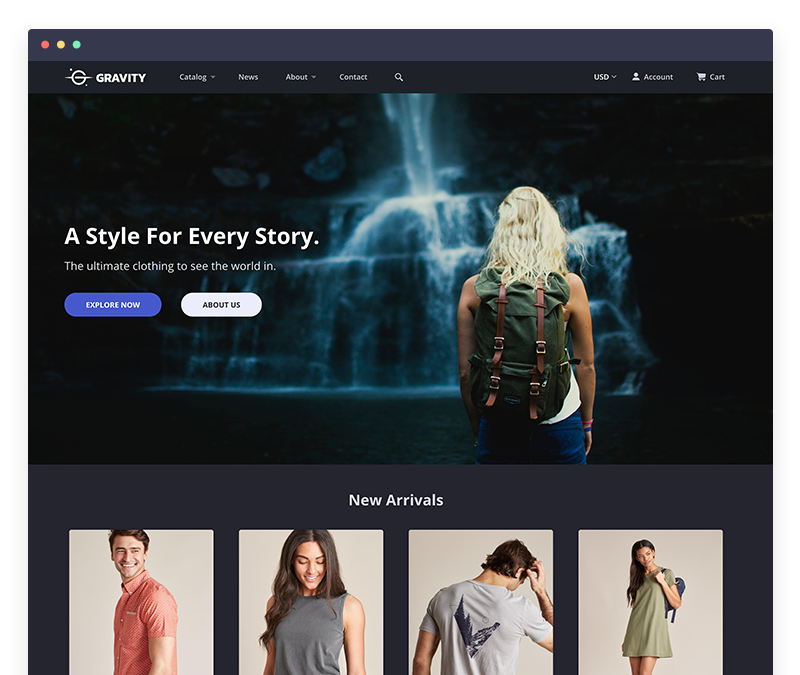 The most advanced dark theme for Shopify. 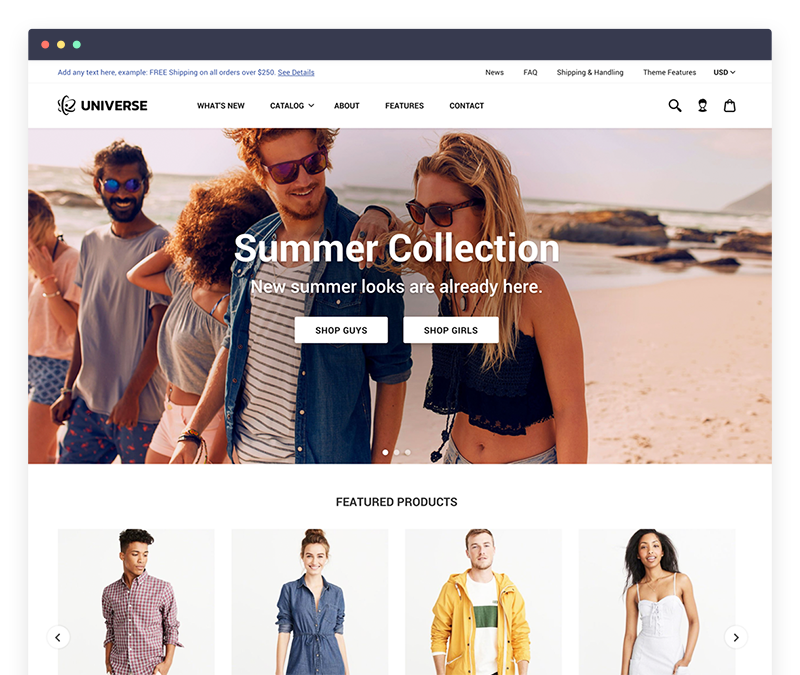 Get our stunning theme for your Shopify store! Free download only applies for new Shopify stores referred by Outlane. If you are starting a new store, follow the quick steps to get the theme. 1 Create a new Shopify store using our referral link. 2 Sign up to any paid Shopify plan. 3 Fill in the fields below to request the theme. We will review your request and send you the link to download the theme.